Corboy & Demetrio partner Thomas A. Demetrio has been named one of the Top Ten Personal Injury Lawyers in Illinois by Leading Lawyers Magazine–Consumer Edition 2011, ranking second. Mr. Demetrio was also named one of Top Ten Leading Lawyers in the entire state of Illinois, ranking third, the publication has announced. Additionally, Mr. Demetrio was selected as one of the Top Ten Consumer Lawyers in Illinois, ranking second. “Being selected by my peers through Leading Lawyers Network is an honor. The top ten lawyers in all three categories are excellent attorneys and I am proud to be among them,” Thomas A. Demetrio said. 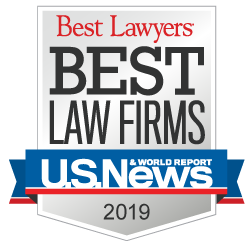 Those honors are among several that Mr. Demetrio and the Illinois personal injury law firm he co-founded received in the Leading Lawyers Network annual publication. Four Corboy & Demetrio partners were selected to the Top 100 Leading Consumer Lawyers in Illinois—more than any other law firm. They include Robert J. Bingle, Philip Harnett Corboy, Jr., Thomas A. Demetrio and Francis Patrick Murphy. Also, partner Susan J. Schwartz was chosen as one of the Top 50 Leading Women Consumer Lawyers in Illinois. In addition, partner Francis Patrick Murphy was profiled in the magazine for his incredible success and experience as a personal injury attorney. Scott Anderson, Publisher of Leading Lawyers Magazine said he selected Patrick due to his “very strong reputation among his peers and the fact that he is often referred to as one of the kindest and nicest lawyers in the state. He has a special niche practice representing vulnerable seniors which is often noted by his peers. ‘Lawyer’s lawyer’ is a term often used to describe Patrick and I know he would make for a great story,” said Anderson. In all, thirteen Corboy & Demetrio lawyers were selected as Leading Lawyers for the magazine’s Consumer Edition, released Friday. They include: Thomas A. Demetrio, Philip Harnett Corboy, Jr., Michael K. Demetrio, David R. Barry, Jr., Robert J. Bingle, Barry R. Chafetz, Shawn S. Kasserman, Daniel M. Kotin, Francis Patrick Murphy, Susan J. Schwartz, Rene A. Torrado, Jr., Kenneth T. Lumb and Edward G. Willer. The Leading Lawyers Network recognizes attorneys who are leaders within their area of law. The four-phase selection process begins with a survey of every lawyer listed in Sullivan's Law Directory, then follow-up interviews with the lawyers most frequently nominated, continuing to an ethical evaluation of those attorneys, and finally an intensive review by the Leading Lawyers Network Advisory Board. Becoming a Leading Lawyer is a distinction earned by fewer than five percent of lawyers licensed to practice law in Illinois.